Posted June 18, 2013 by Josette Farrell in News. 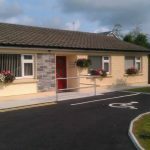 The Claregalway & District Day Care Centre is now open four days per week, Monday, Tuesday, Wednesday and Friday from 9.30am to 4.00pm, limited places are available for Tuesdays. The Centre is also celebrating its official opening on Wednesday 26th June at 12 noon. 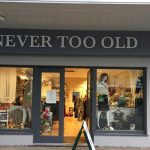 The opening will be performed by Keith Finnegan of Galway Bay FM and will be followed by refreshments and entertainment, Keith will be broadcasting his show that morning from the Baycaster at the Centre. If anyone is passing the Centre on the day feel free to call in. The Centre will also be launching its new website in the coming weeks www.claregalwaydaycarecentre.ie. For further information on the Centre please call in or contact 091 739385 or 086 4458989, you can also keep up to date on events through our Facebook Page. 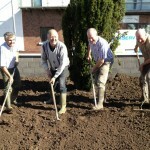 Tús Community Work – Claregalway. 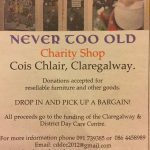 Day Care Centre in Claregalway.